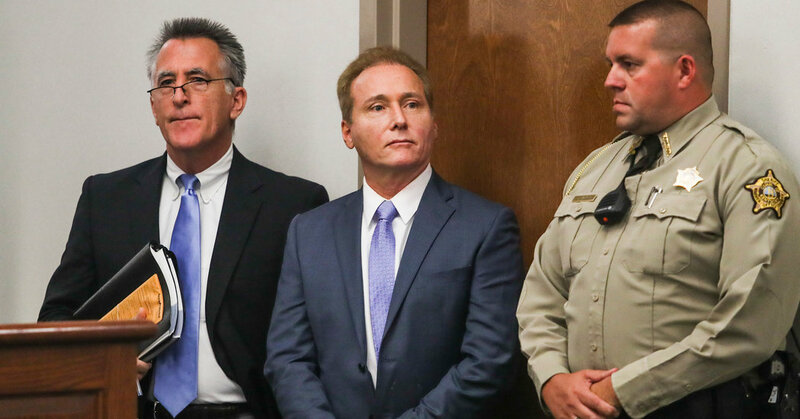 A neighbor of Senator Rand Paul of Kentucky was sentenced Friday to 30 days in prison after pleading guilty to felony assault for tackling the lawmaker last year, a spokesman for federal prosecutors said. The attack was fueled by irritation over a pile of debris. The neighbor, Rene A. Boucher, 60, of Bowling Green, Ky., was also sentenced to one year of probation and a $10,000 fine, said Tim Horty, a spokesman for the United States attorney for the Southern District of Indiana, in a phone interview. In a statement, Mr. Paul said that he believed a conviction with prison time was “appropriate,” and he hoped it would deter Mr. Boucher from any future violence. Mr. Baker said the defense had no plans to appeal the sentence. The attack in November left Mr. Paul with several broken ribs and precipitated a case of pneumonia. It kept him out of Washington for nearly two weeks while lawmakers debated the Republican tax bill, his spokesman said. Mr. Boucher, a retired anesthesiologist, pleaded guilty to a felony count of assaulting a member of Congress resulting in a personal injury, a charge that carries a maximum term of 10 years in prison. Prosecutors had been seeking 21 months of jail time for Mr. Boucher. On Nov. 3, the day of the altercation, Mr. Paul was mowing his lawn in Bowling Green while wearing headphones when Mr. Boucher ran over and tackled the lawmaker, according to a news release from federal prosecutors. The neighbor said he had “had enough” after watching Mr. Paul stack a pile of brush near the property line between their two yards, the release said. Mr. Baker said in an interview earlier this week that Mr. Paul’s tendency to pile brush near his neighbor’s property had been a consistent irritant to his client. The day before the attack, Mr. Baker said, Mr. Boucher had decided to burn a pile of brush placed near his land — suffering second-degree burns in the process. The Bowling Green Daily News first reported these details regarding the lead-up to the attack. Mr. Baker said his client, a registered Democrat, had no political motives for attacking Mr. Paul, a Republican. The defense had pushed for a sentence without jail time, citing a lack of prior criminal charges. Mr. Baker said that Mr. Boucher was “deeply remorseful” over the incident. “Any description of this attack that implies a ‘yard dispute’ justifies such violence and misses the point,” Sergio Gor, a spokesman for Mr. Paul, said in a statement earlier this week. He said Mr. Paul had no contact with his neighbor in the decade before the assault. Mr. Boucher’s case was transferred to a United States attorney’s office in the Southern District of Indiana after federal prosecutors originally assigned to prosecute the case in Kentucky were recused. A misdemeanor assault charge filed against Mr. Boucher in a state court in Kentucky was dismissed after he pleaded guilty to the federal charge, said Mr. Horty, the Indiana district spokesman.